One Iranian university that we think doesn’t get the attention it deserves - perhaps because of its mouthful of a name – is Khaje Nasir al-din Toosi Industrial University. Catchy right? We know it as KNTU. This is a great acronym if you’re a fan of 1990s advertising campaigns for French Connection. Based in Tehran, KNTU is an elite engineering school that reportedly only admits the top 1% of those who take Iran’s notoriously competitive university entrance exams. That’s what you’ll read on Wikipedia anyway. What you won’t find there is the fact that KNTU is one of Iran’s most important centers for missile research. Without KNTU-developed technology and KNTU-schooled engineers, Iran’s missiles simply wouldn’t fly. You don’t need to take our word for it. Today we’re going to take you through some of the open source evidence that demonstrates KNTU’s key role in advancing Iran’s missile program. We’ll also point out some evidence that suggests KNTU is playing around with nuclear research as well. This might warrant a visit from the international nuclear watchdog, the IAEA. A good place to start is the KNTU alumni list. Probably the university’s most famous graduate is Shahid Hassan Tehrani Moghaddam (حسن تهرانی مقدم), the infamous head of a secret Iranian ICBM project, run by the IRGC. Moghaddam was killed in 2011 during a test of a malfunctioning rocket. Another former KNTU student is Darioush Rezaienejad (داریوش رضایی‌نژاد), a suspected member of Iran’s nuclear explosive-related research efforts who was assassinated in 2011. Rezaienejad was admitted to KNTU as a PhD student but never completed his studies. These two should give you a good idea of the sort of graduate that KNTU aspires to produce. The best place, though, to understand the nature and extent of KNTU’s work on missile design and development is the university’s published research, which is generally only available in Farsi. Let us help you out with that! 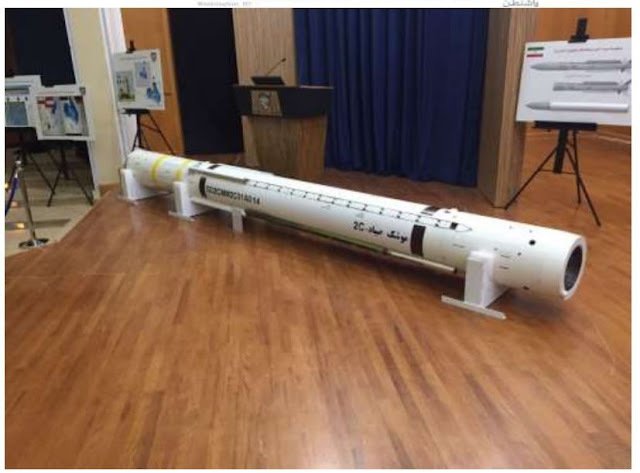 Redline has undertaken a review of Iranian scientific databases and has come up with ten papers that by their titles alone make patently clear the sort of missile-related research that goes on at KNTU. As you can see, KNTU’s work covers liquid and solid propellant rocket motors, multi-stage systems, and aerodynamics – all critical elements of missile design. These ten papers are, of course, the proverbial tip of the iceberg: there are many more papers published by KNTU authors on missile related topics. And, of course, the most sensitive research undertaken by KNTU will likely never be published in the public domain. 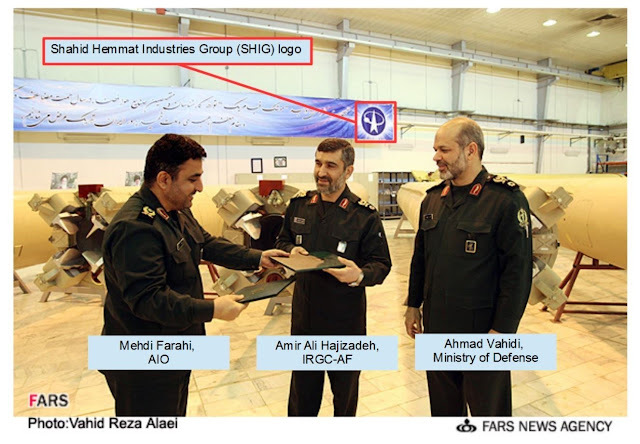 It will be security-classified and provided only to customers in the IRGC and Iran’s Ministry of Defense (MODAFL - وزارت دفاع و پشتیبانی نیروهای مسلح). It’s not just missile-related research that concerns us about KNTU. You will forgive Redline for worrying just a little when a single institution is investigating both potential nuclear weapon delivery systems and nuclear material. Here’s an interesting paper we found where KNTU researchers look at uranium contamination of groundwater. This kind of research often uses small samples of uranium compounds. If that’s the case, that’s exactly the kind of work that must be declared to the IAEA as part of Iran’s obligations under the nuclear deal. And speaking of nuclear weapons this is a KNTU publication where two KNTU mechanical engineers describe the design and construction of a device called an explosive-driven shock tube. A shock tube like the one they describe can be used to study explosive blast effects for legitimate conventional military purposes, such as testing the effects of explosives against armor. But – this technology is also awfully close in design to something called a gas gun, which simulates the shock waves experienced inside a nuclear bomb as it begins imploding. Mystifyingly, KNTU has not yet been put on the United States’ extensive sanctions list. We don’t expect this situation to remain for too long. After all, finding evidence that KNTU is the hub of missile-related research isn’t exactly rocket science. To help out Googlers, KNTU is also known as Khajeh Nasir Toos, K.N. Toosi, Khaje Nasiriddin Tusi, Khaje Nasi Reddin Toosi, Khaje Nasi R Al Din Tusi, Nasir al-Din al-Tusi and probably a dozen other unpronounceable iterations that help to explain why nobody outside of Iran talks about the place.